AJ’s Aluminum, Inc. awnings not only add a special decorator touch to your home, but they also protect your valuables by blocking out damaging infrared sun rays that can cause furniture damage, carpet and drape fading. State-of-the-art features include carefree, all aluminum construction… lockseam understructure supports, one full inch square… stainless steel fasteners… anodized extrusions, and a wide selection of colors to choose from. 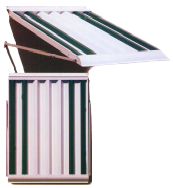 All AJ’s Aluminum, Inc. Awnings are precision engineered with strict quality-control standards, as well as offering you maintenance free, comfort and protection, that looks great. 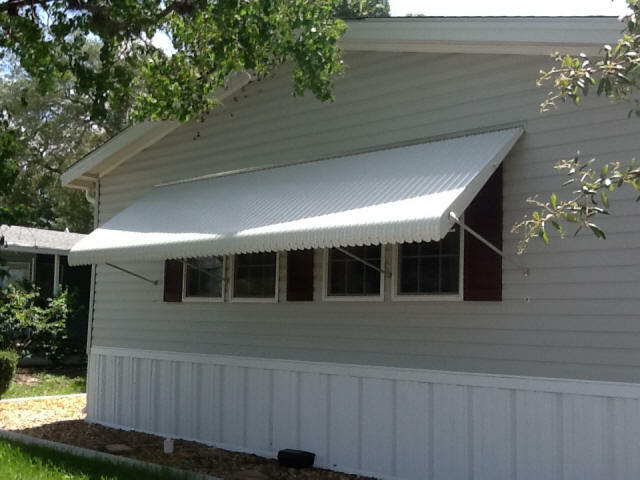 AJ’s Aluminum, Inc. custom awnings are made to order, in the size, shape, and color that best complements your home. All of our Eyewall Armor products have gone through rigorous Research, Development, and Testing to be the strongest and most durable hurricane products on the market. The Eyewall Armor Storm Panel Awning surpasses Florida Building Code non-HVHZ requirements and is fully ASTM tested, which is the most rigid test standard in the nation.